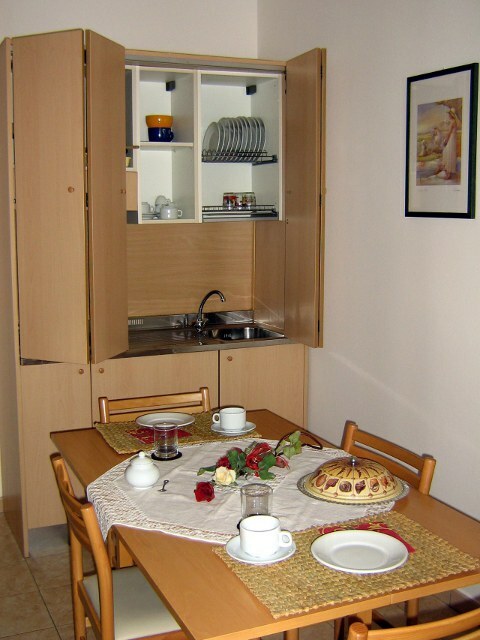 All the 28 apartments have modern furniture and are equipped with any comfort. In some apartments you could surf the Internet by using wireless internet connession free. 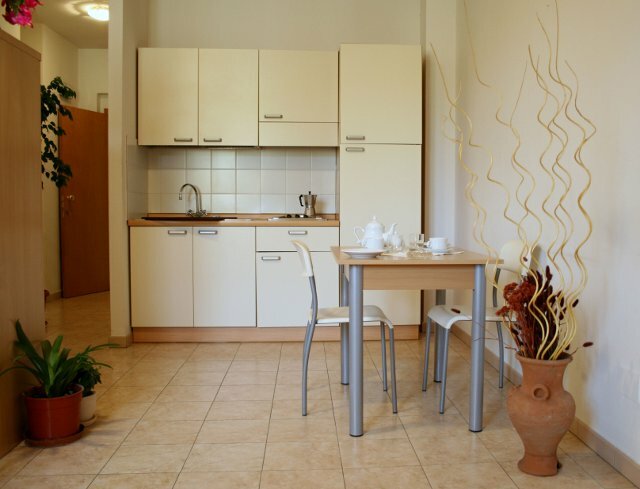 Two apartments are accessible for disabled and in fifteen apartments there is air conditioning. This apartment for 2 people is the perfect way to have an intimate and pleasant stay. Spacious and comfortable, the one room-apartment is equipped with kitchenette with kitchenware, fridge, TV color, sofa or armchair, private bathroom with shower, heating. 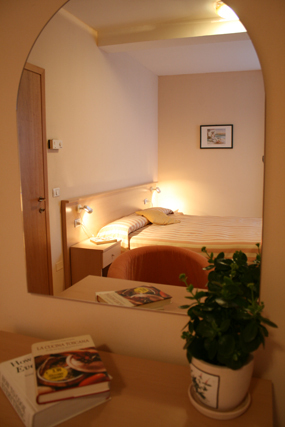 The two rooms-apartment is very spacious and can host until four people. 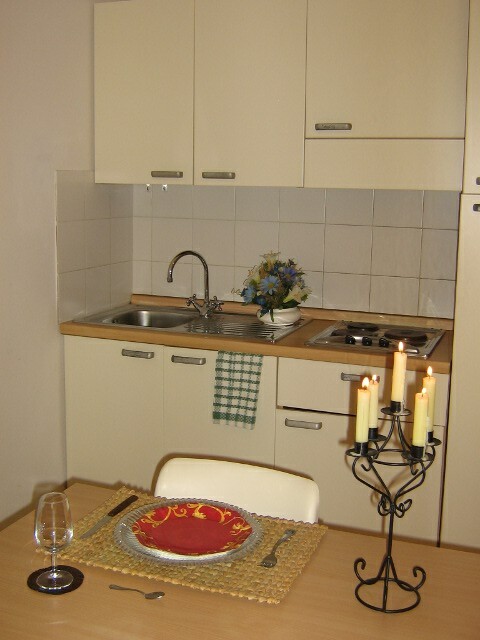 The kitchenette with kitchenware is equipped with everithing you need to cook; the apartment is has fridge, TV color, sofa or armchair, private bathroom with shower, heating. The loft is an apartment with mansard perfect for families with children or groups of friends. It's designed with the formula double bed + 2 beds. In two apartments it is possible to add 1 extra bed, so that the loft can host until 5 people. The apartment has kitchenette with kitchenware, fridge, TV color, sofa or armchair, private bathroom with shower, heating, desk, air conditioning. Two of this apartments are equipped for disabled.